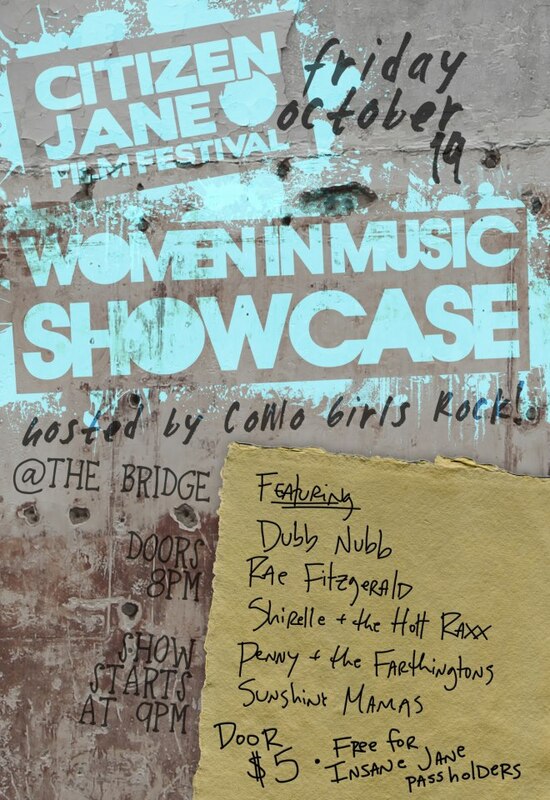 Citizen Jane Women in Music Showcase | COMO GIRLS ROCK! Come down to the Bridge after the Citizen Jane Film Festival opening night film for an apocalyptic evening filled with sounds from the finest female musicians in Columbia, Missouri. We will be hosting the event and will be releasing our zine as well!! Performances from Rae Fitzgerald, Penny & The Farthingtons, Sunshine Mamas, and Dubb Nubb will be sure to tickle your ears!